Waddle is an impressive 30 inch penguin. He is three-way jointed with flat feet to enable him to freely stand. He is handmade from ultra-soft black and white plush with a touch of pink to highlight his face. Waddle Penguin has a wonderful expression with friendly glass eyes backed with felt disks for an adorable 'who me' look. As the finishing touch to his cheerful fellow, he wears a dapper calico scarf. A very unique addition to any collection. 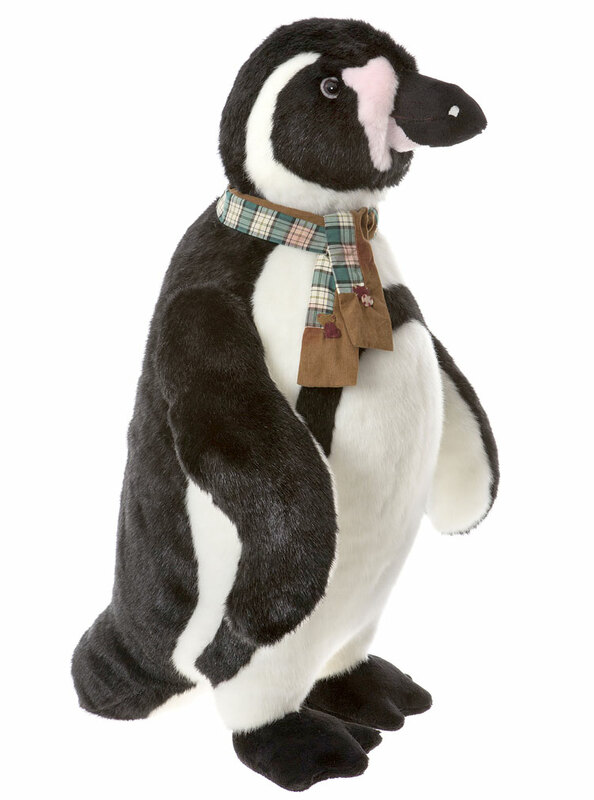 Waddle Penguin is part of the 2019 FOLKLORES & FABLES: Charlie Bears Collection. Limited to only 1000 pieces worldwide. Suitable for ages 3 years and up.